Celebrate our stories and preserve your memories! 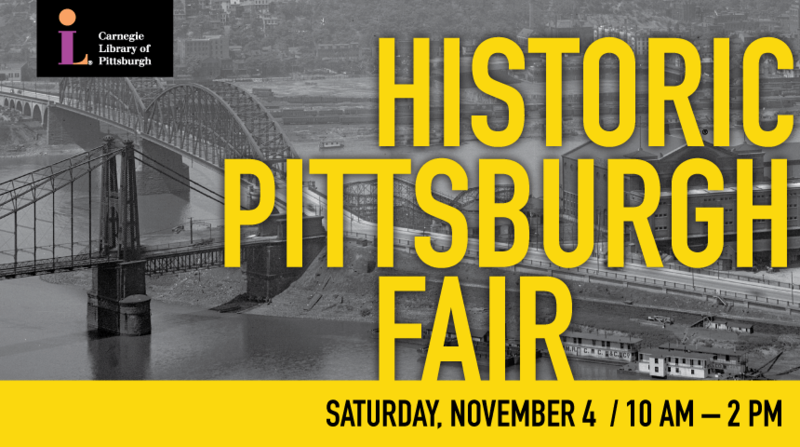 The event celebrates Historic Pittsburgh’s new website (http://www.historicpittsburgh.org) with a day full of activities for all ages. Explore historical treasures from the collections of Historic Pittsburgh’s partners which include local universities, museums, historical societies, libraries and non-profits. Local professional archivists will be at the fair to provide one-on-one preservation and archiving advice, click this link to sign up for a session.